Before I go on to explain what I mean by this unusual opening sentence I’d just like to introduce the new post heading. 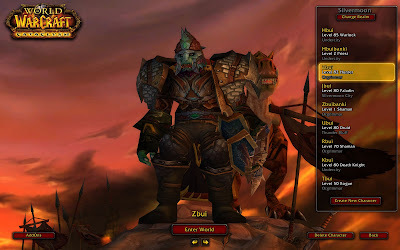 “The World of Alphabui” is my new World of Warcraft (which I will refer to as WoW) post heading, it’s true I have done some posts on WoW in the past but it’s mostly been tying in to my in to my Minecraft experiences. It’s unfortunate that I happened to start this blog after almost 4 years of playing WoW but I do remind myself that It was mainly set up to document my Minecraft creations and experiences as Minecraft is a very creative, new and constantly expanding game, whereas WoW has limited options of creativity has been out for quite a while now in game terms but is still expanding maybe slower than before. 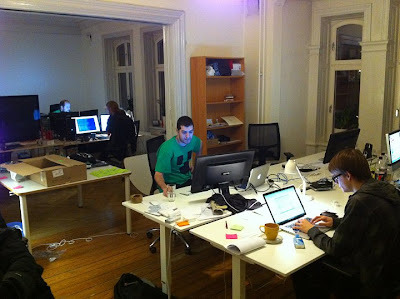 But I cannot compare the two as in terms of money and resources WoW is made by Blizzard which is a large company and one of the richest games designers around, whereas Mojang the makers of Minecraft are a company of 6 or 7 in a small office in Sweden who are reasonably rich I guess. Regrettably although I have now decided to make posts specifically about WoW it may not go on for too long, you all know I (and many others) am inevitably waiting for the release of Star Wars: The Old Republic which may very well be a replacement MMO for me, but we shall see. Now, back to our feature presentation…. 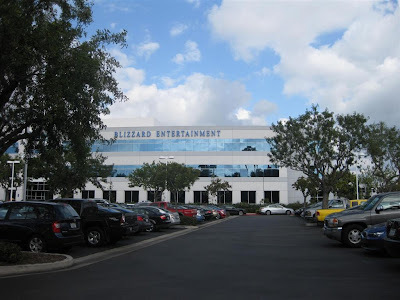 Blizzard Entertainment (the now very wealthy creators of World of Warcraft and anything Warcraft in general) have officially announced the next expansion to WoW and boy is it a big surprise. The Mists of Pandaria is the name and it’s got the WoW abuzz. 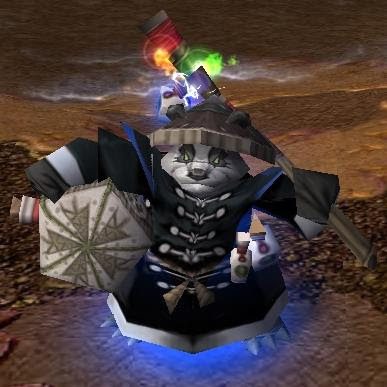 To understand my statement at the start of the post the Pandaren notably were originally an april fools joke made by Blizzard introducing a new playable race for Warcraft III. They appeared throughout Warcraft III as non playable monsters which had nothing to do with the storyline itself. 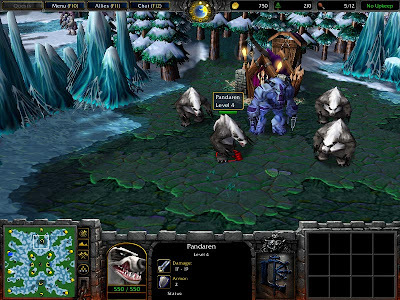 In the Warcraft III expansion: The Frozen Thronethe playable Pandaren Brewmaster neutral hero unit with one in particular named Chen Stormstout who featured in the Orcs RPG style campaign The founding of Durotar. He was also was referenced a few times as well as there being years of rumours of the Pandaren throughout the non-lore history of WoW. I often used to think that the next WoW expansion was going to be about The Emerald Dream which is apparently in turmoil and keeps popping up from time to time in WoW lore, but I guess this will just have to wait cause I’d hate to say it but it seems that Blizzard has slightly sold out. I don’t mean that in a sense that their betraying their fans and doing what gets them money (well actually one could argue that’s exactly what they’re doing) but I knew people had been crowing for this for ages but the reason they had not given a larger appearance to the Pandaren is that they had nothing to do with Warcraft Lore, until now. It was rumoured (just like a lot of other things about the Pandaren) that they would be a playable race in the Burning Crusade expansion but instead the Draenei were introduced, the Draenei had been around before but it was the way they were introduced into The Burning Crusade (BC) that got some people (my brother especially) kind of annoyed, they looked nothing like they did in Warcraft III which were given the name “Lost Ones” and their starting area was on two islands in the corner of the map which didn’t seem to exist prior to the expansion. It was this kind of making lore up to fit the story is relatively ok with me but this did seem kind of out of nowhere. 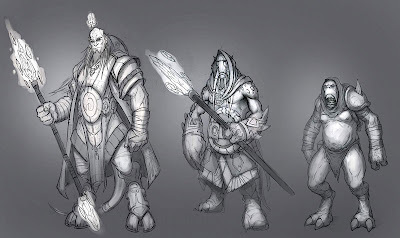 However as Lore-spontaneous as the Draenei were the Pandaren are possibly even worse, although small rumours did exist the “Mists of Pandaria” is something pretty much plonked into the Lore just as they have plonked another island somewhere on the WoW map. 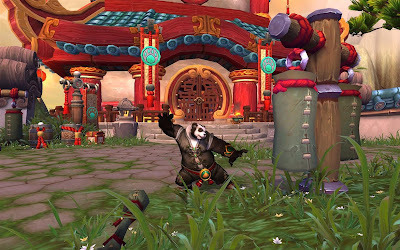 I really don’t have any qualms against Pandaren (or Pandas in general) in fact the new Monk class does look pretty cool though this coupled with the fact the whole new‘island’ does have a very oriental feel to it just gives me the‘WoW does China’ vibe (similar to the ‘WoW does Egpyt’zone of Uldum) , and also since there is both Pandas, martial arts and a chinese setting I would go as far as to stay it’s ‘WoW does ‘Kung Fu Panda’ as well. Another thing I find kind of weird about the Pandaren is that they’re going to be playable by both Alliance and Horde which makes things awkward in PvP, I mean it’s one thing to chose your own path but aren’t the Pandaren mostly spiritual and peaceful? I wouldn’t think killing other members of their fairly small populated race would be justified in any circumstance, especially for some old hatreds of other races that they’ve never met before, I mean the Goblins do that but their fuelled by greed and their at least not killing each other.. But who am I to judge I’m just a player who pays my monthly subscription, and I’ve seen the extent to which some blizzard employees get anger directed at them or openly harassed. And whether I decide to purchase this expansion or not will depend upon a few things, but it will be a long time yet. In recent news I’ve started playing my Orc Hunter and am leveling my way up through Mount Hyjal again on the Silvermoon US realm, there’s been so much changed in Hunters since BC, especially with pets, with them getting talent trees of their own plus a few other things, I must admit I am very glad that a previous Survival-build-only ability Scatter Shot has now been changed to mainstream for Hunters, apart from that nothing too interesting, I decided to spec Beast Mastery again since talents had been reset, as I did want to have a Devilosaur at some point, speaking of which Petopia is an excellent site for everything to do with Hunter pets, it’s an invaluable resource for people wanting info on our Hunter’s best friends. 1. My current Druid is Restoration/Balance specced so I was eager to try a Feral Cat dps/Bear tank spec. 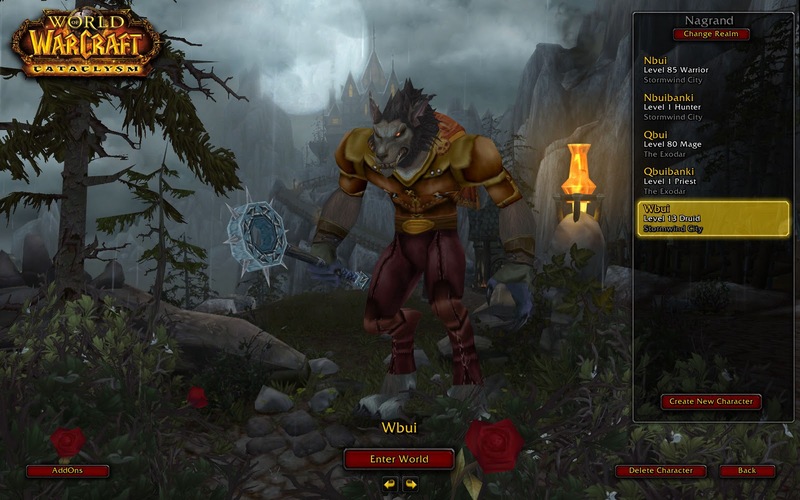 I wanted to be a Worgen (again) because I had previously made a Worgen druid to try them out and enjoyed the look of them. 2. I wanted to have a character where I only played with someone else so for example I would play with my friend who I will refer to as Rennz after one of his main characters and we will level up together only playing when both of us are on. 3. 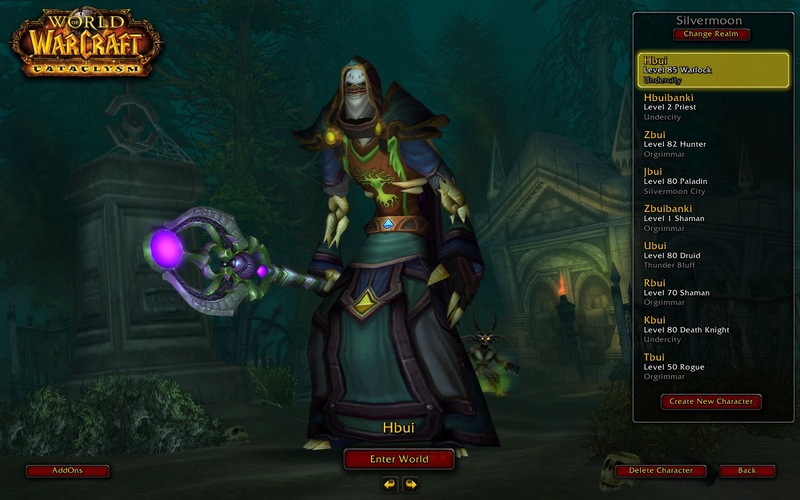 I’ve always wanted to have a go at the kind of ‘power playing’ that I always see others doing, well not really power leveling just going at a much faster rate then I do. I had also selected myself as doing only Mining and Skinning as tradeskills as even though I had the backup of my other characters I am aiming to lower the ‘downtime’of leveling professions and selling items at the Auction House, although with the ore and skin I’ll be getting as well as various other things. But anyway I’ll see how we go. Well that’s all for now, I think this was quite a groundbreaking first wholly World of Warcraft themed post. I’ll be back again with more don't you worry.